S’mores bring me back to sitting around the campfire as a kid, roasting marshmallows on sticks we found in the woods. My dad would build a fire so enormous I thought the three tops would catch on fire and he’d make us wait to roast our ‘mallows until the fire died down to nice coals at the base. This called for one thing: Patience. Something my 7-year-old self didn’t have. 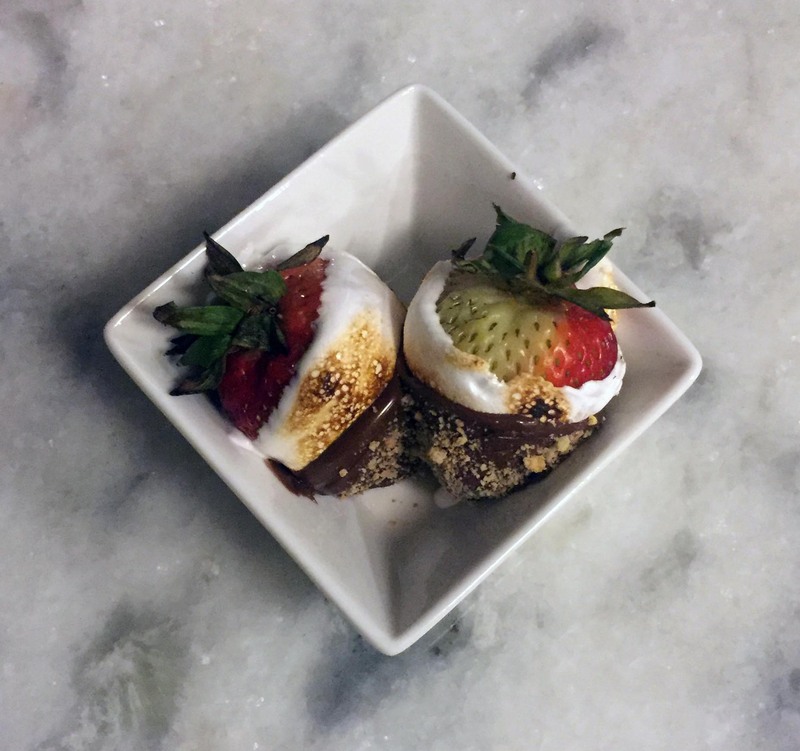 Fast forward 20 years and now we’re making s’mores with strawberries for Strawberry S’mores Bites! Crush graham crackers into a bowl. Procure your heat source. You can use whatever works for you here. A grill, a fire, a kitchen torch, candlelight, a gas burner. You just need something to toast the marshmallow crème. Dip your berries into the marshmallow crème and toast immediately, one by one. Putting the berries down will allow the crème to stick, so toast them before setting them down. Let toasted berries cool slightly. Dip berries in Nutella so there is a little marshmallow crème still showing. Immediately sprinkle the strawberries with graham crackers so they stick to the Nutella. These were fairly easy to make, here are a couple tips to make it easier for you. For one, spreading the marshmallow crème and Nutella with a knife was easier than dipping in some occasions. The marshmallow crème also toasts really fast, so keep an eye on it, but also know that you want to toast it completely or the Nutella will mix with the marshmallow crème. Lastly – be patient with the process. This was NOT any easier now than it was when I was a kid. Once complete these are DELICIOUS and much lighter than the traditional version. 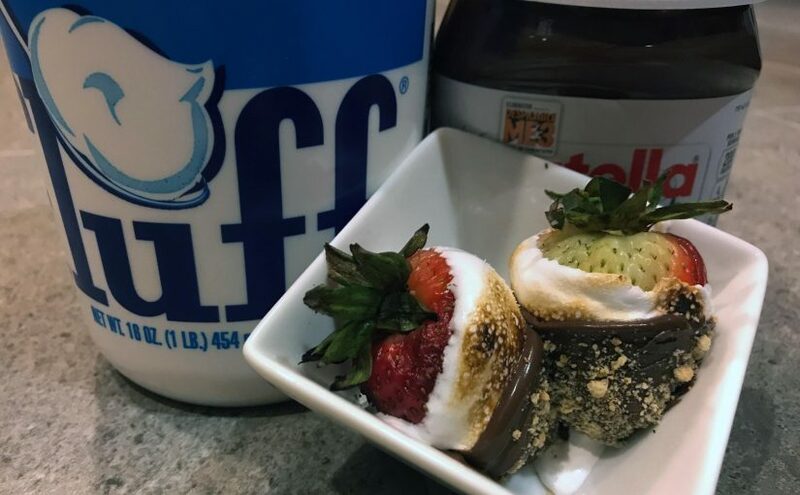 The flavors are excellent and the strawberries bring an element of freshness that you don’t get with a regular ‘ol s’more, which is probably why we all kept going back for s’more (ha).